Very little is known about process filters. 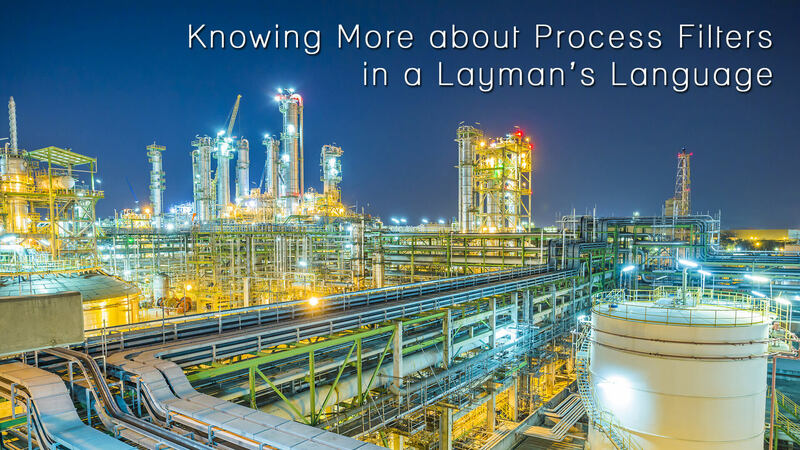 For a layman, process filters elements are nothing but to know the core of each filter. It helps in defining the efficiency of the filtration process. Today we are going to discuss more process filters, its parts, its usage etc. in the following segment. Process filters can be further classified as process filters providing a service to a factory operation, typically also known as utility filters and another one as the main production unit. Process filters play a vital role in the purification of water and other feed materials to the purification of solvents. It is the process filters that eliminate solvent-using processes increasing the intrinsic safety process. It aids to drive towards the environmentally friendly processes hence. It helps in increasing product yielding and benefits in the continuous removal of reaction products. At the end of the day, it increases the rate of reaction. Process filters work as a recovery of catalysts. One of the key benefits of process filters is that it helps to purification and concentration of low molecular weight organics. There are many who use process filters as purified streams to the separation of reactors by-products. There is a separation of fluids from reactions like oxidation, dehydration, dehydrogenation, and etherification etc. There is a concentration of slurries and suspensions accordingly hence. Process filters use spirally wound membranes modules that can meet the process application requirements. These processes are usually applicable for sanitary applications in the pharmaceutical, food and beverage industries, biotechnology, environmental protection, chemical and paint applications, metal coating etc. For such applications hollow fiber membrane modules are suitable. It requires a high packing density and high purity. Such kind of application is wildly used in pure water production for pharmaceuticals and electronics, surface water treatment, membrane bioreactor, and wine filtration etc. For a higher level of suspended solid content like sludge concentration in wastewater treatment or degreasing plant bath life extension, paint recovery and oily wastewater treatment, multi-tubular membrane modules are best. A standard size system not only helps you to save money but also from being bothered by changing the filter. People may argue as ‘what is the problem in buying an oversized system?’ The answer to which is when you have an oversized system for wastes filtration, you will have to change frequently for varied other reasons. It involves a huge investment in hardware which is not necessary. So what happens when you think of an undersized system? Well, with the undersized system, the problem is it fails to perform efficiently. Thus, to get the best sizing system it is recommended to have a trained application specialist who can provide with different methods and procedures to understand the specific needs for the processes. He is the one to help you get maximum filter performance by doing the best system sizing done.